Maineiax takes great pride in giving you the best coaching possible. We have multiple college coaches, elite high school coaches and college players on staff to help you grow your game throughout the year. We are the premier club program in Maine ensuring that you or your daughter are receiving the top coaching in the state while meeting new friends and having a blast! Meet our coaches below. Peter Lasagna is the head coach of men’s lacrosse at Bates College and enters his 18th year at the helm. He is a three-time NESCAC Coach of the Year award-winner and was named New England Coach of the Year in 2015. After leading his team to a 14-0 start in 2017 (including a perfect 10-0 mark in NESCAC), the Bobcats were ranked No. 1 in Division III for two weeks. Coach Lasagna has led Bates to seven appearances in the NESCAC Championships and two appearances in the NCAA Tournament. 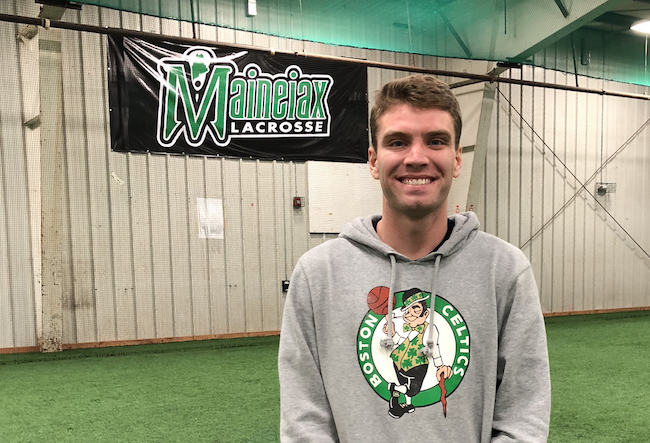 He was named the “Walter Alessi Man of the Year” by the New England Intercollegiate Lacrosse Association in 2017 and also earned NEILA’s Division III Co-Coach of the Year award. He has coached eight Bates players who were named USILA All-Americans and one player who currently plays for the Boston Cannons of Major League Lacrosse. Coach Lasagna graduated from Brown University where he spent 18 years of coaching before coming to Bates, including eight as head coach. At Brown, he led the Bears to three NCAA Division I championship tournaments, including an appearance in the national semifinals in 1994 and the quarterfinals in 1995. He was named Division I Coach of the Year by the United States Intercollegiate Lacrosse Association in 1994 and by the New England Intercollegiate Lacrosse Association in both 1994 and 1995. 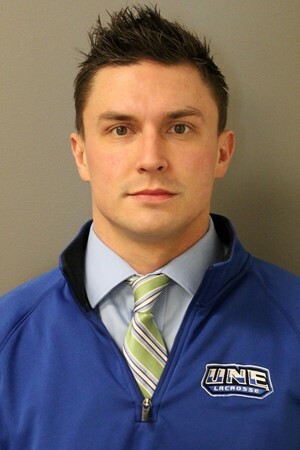 Coach Baker is currently is his 4th season as 1st Assistant and Offensive Coordinator at the University of New England. 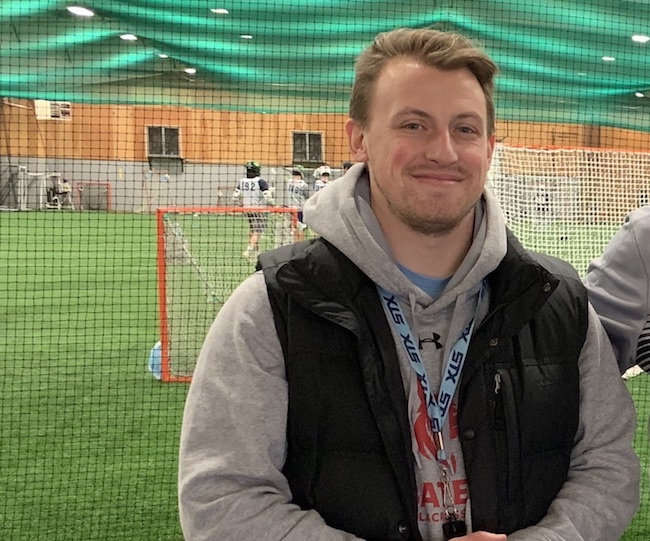 Prior to UNE, Coach Baker coached high school lacrosse first at Cheverus HS as a Head JV and Varsity Assistant for 2 years and then at Falmouth HS as a Varsity Assistant for 3 years, helping to win the 2016 Class B State Championship in his final season. He has also coached teams, run clinics, and managed events for various club programs throughout southern Maine. Most recently, Coach Baker played attack for Belgium in the 2018 World Lacrosse Championships in Israel where he helped lead them to the best record in program history and finished ranked 3rd in goals and 9th in points among the tournament leaders. He also represented Team Belgium in the fall of 2017 at the Boxmania Tournament (box/indoor) in Lille, France where he earned the “Best Scorer” award for leading the tournament in goals and points, and at the 2016 European Lacrosse Championships in Budapest, Hungary where he finished ranked 3rd in total points. Coach Baker has adapted his playing and coaching through years of experience in the indoor game (box lacrosse) as well. 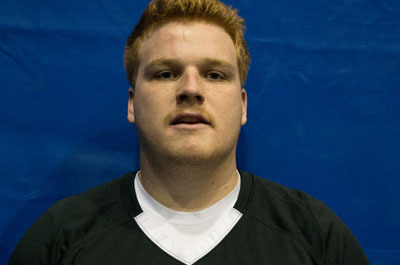 He is currently in his 5th season playing Forward for the Blazers of the Boston Box Lacrosse League (New England’s Premier Men’s Box League). Coach Baker also played 5 years of Semi-Pro Box Lacrosse for the Vermont Voyageurs in the Quebec Senior Lacrosse League, represented the USA indoor team in the 2013 Bowhunter Cup vs. the Iroquois Nationals, and helped win a championship with the Snipers of Premier Series Lacrosse in 2015. Coach Baker finished his collegiate playing career in 2013 at the University of Southern Maine where he was a 1st Team All-Conference and 1st Team All-New England ECAC Attackman while setting the single-season records for goals and points scored. He played three seasons at USM and one season at Merrimack College, the 2018 NCAA DII National Champions, where he started his college career. Prior to Merrimack, Coach Baker was 2006 graduate of Kennebunk High School where he was a Varsity Tri-Athlete, a USILA All-American, Captain, Team MVP, and earned multiple state and conference honors before spending one year as a post-graduate student at Holderness School where he played NE Prep football, hockey, and lacrosse. Andrew Deane enters his first year on the Bates men’s lacrosse coaching staff in 2019. Coach Deane was previously coaching at Western New England University where he served as a graduate assistant for three seasons, working with the goalkeepers, faceoff players, the man-down unit and defensive players. He helped coach WNE to a pair of Commonwealth Coast Conference titles and NCAA tourmanet appearances. Coach Deane was selected to coach in the 2018 NEILA East/West Senior All Star Game. He graduated in 2018 with a Master’s Degree in Organizational Leadership. Before his time at WNE, Coach Deane was a University/Local Development Officer in Headingly, England for the English Lacrosse Association. He coached the Leeds Beckett University men’s lacrosse team and competed for the Leeds City Lacrosse Club, winning the NEMLA Prem 3 League and Tournament Championship. Coach Deane organized, introduced, and develop lacrosse curriculum in Physical Education settings at local schools for grades K-12. Coach Deane was a four-year player and one-year volunteer assistant at Eastern Connecticut State University. He was part of two Little East Conference champion and NCAA tournament teams. He graduated with a B.S. Degree in Physical Education (K-12 Teaching Certification), as well as Minors in Health and Sport & Leisure Management. IV Stucker is a 2018 graduate from Roanoke College where he was a 4 year letterman on the men’s lacrosse team. During his career, Coach Stucker was named a 3 time All-American (1st, 2nd, and 3rd team) and 3 time First team All ODAC. During his senior campaign, Coach Stucker was a team captain on the squad that made appearances in the ODAC tournament and NCAA tournament. In 2018, Coach Stucker was 2nd on the team with 37 goals, 30 assists for a total of 67 points. Coach Stucker graduated from Falmouth High School where he was named Maine state player of the year in 2014. This spring, Coach Stucker will be on staff at Bates College working with the men’s lacrosse team. 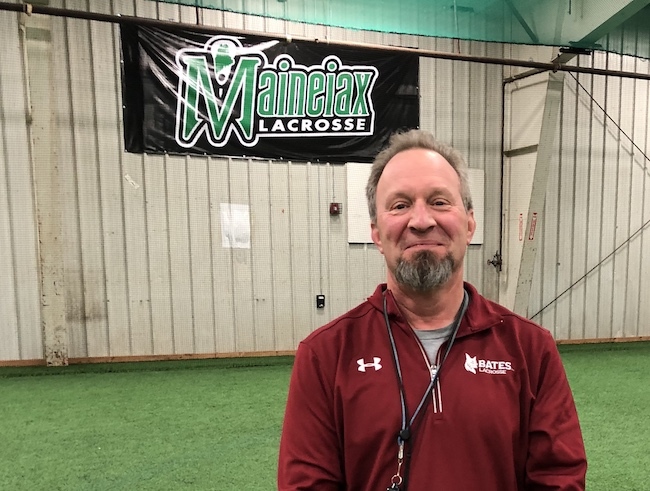 Ralph Nelson has spent three seasons with the University of Southern Maine men’s lacrosse program. Coach Nelson has served as an assistant coach focusing on the attackmen and offense. Prior to joining the USM coaching staff, he spent two seasons as the head Boys Lacrosse Coach at Saint Dominic Academy (Lewiston, Maine). From 2013-2015, Coach Nelson served as a varsity assistant and JV coach for Yarmouth High School (Yarmouth, Maine), as well as being an assistant lacrosse coach at St. Joseph’s College (Standish, Maine). He has coached high school club lacrosse with Team DIRIGO as well as True Lacrosse National and regional teams in Maryland, California, Delaware, and Utah. A graduate of Cheverus High School (Portland, Maine), Coach Nelson graduated from the University of Maine in 2013 where he was a three-time captain of the men’s club lacrosse team and an all-conference attackman his junior and senior year. Coach Nelson is a physical education teacher at The Waynflete School in Portland and resides in Cumberland with his wife Megan.